This picture is of our old nursery, our boys first bedroom. The nursery has so much significance as you prepare for the arrival of your first child/children. You imagine your child sleeping here, waking here, playing here. You carefully choose the colour of the walls, the type of crib you want your baby to sleep in, the changing table you will use more times than you could ever have imagined. You wash their tiny, little clothes and place them on hangers or in drawers. You place their teddies and blankets in the crib/s and anxiously wait for their arrival. You prepare space in your life for this new little human being about to join your family. Yet the nursery is also a way for the parents to mentally prepare their checklist of ‘Are we actually ready to bring this baby home from the hospital’? You may store your hospital bag in this room, you may have your cotton wool for cleaning up your baby’s dirty bum, you may keep an abundance of newborn nappies here. You try to prepare for something you have never experienced (if this is your first child). As you countdown the days to your due date you also countdown the projects left to finish in the nursery and possibly around the house. Many of which will be left untouched for years after that first babies arrival, this my friend is perfectly fine and acceptable. As time went on and we organized our nursery, I realized it told so much of our story. On one wall was pictures of Bryan and I as babies with our own parents with the letters of our last name hung below representing the blending of our two lives to make one. In one corner you can see Bryan’s trophies from football over the years which in the beginning was one of our main instigators for moving to Northern Ireland. On another wall we hung a world map, hoping that our boys will love adventure and travel as much as their parents do and to remind them of the big, extravagant world that awaits their explorations. This map also had attached to it individual pieces of art representing each boys life that my mother-in-love painted for us. 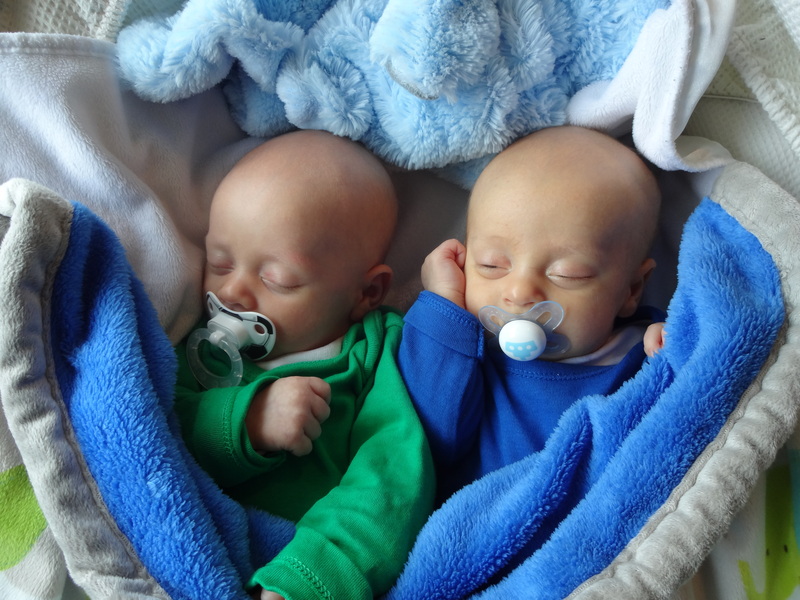 We had two cribs in their nursery. Eventually they couldn’t sleep together because they needed more space to stretch and grow. One crib was borrowed from friends who were some of our closest Northern Irish family. Their two children both slept in that crib and now ours had too. The other crib is warmly referred to as The Box. This crib was loaned to us by a Dutch friend who we met through church. We always seemed to gravitate towards each other with an understanding of being a foreigner living in a different land. The final wall though was our most precious. It held a bright, lime green frame. Inside that frame were scans of our boys as embryos as well as in the womb at 20 weeks. It held pictures of our first family photoshoot with our tired eyes, contented smiles and my slightly swollen belly still present from carrying the boys for 35 weeks. As we prepared our hearts to leave Northern Ireland, (which by the way I am not sure how you actually prepare to leave a place you love dearly), I would walk into their nursery often. I would stand and absorb the details, the smell, the light, the memories that room held for me. Nights of feeding my boys, naptimes, white noise shouting from behind a closed door, hearing the boys wake in the morning and going into get them up with their jammies and sleepy eyes. Even as I write this I pray I never forget those sweet, precious moments of the first bedroom they possessed. My eyes are welling up with tears and I have a lump in my throat as I vividly recount that time of our life. Not only did we leave behind the boys first room, a house that we had finally filled with the sounds of our boys pitter patter running up and down the hallway. We left behind one of the most beautiful, challenging, fulfilling, heartbreaking seasons of our life together. I haven’t written about our move that much. The reason is because it is so painful to do so. Let me explain as best as I can. We are loving this new life we have begun back in the states. In many ways it seems like our lives here are just extending from 2003 when we left Kirkland to begin our pursuit of moving to Northern Ireland. We still have many of the same friends and get to connect with them as often as we can, we are back in the same town we went to University in, Bryan loves his job and is thriving in it. The closeness to family is so special right now. I am so thankful to be staying with good friends while we wait for the little house we are going to rent to open up in December. We know we made the right move at the right time and are thankful to be here. However, we still feel very much Northern Irish. We long for a cuppa with a bar of galaxy chocolate or a digestive biscuit. We long for a drive to the North Coast to visit friends and soak up the landscape of sea and cliffs. We long for the short drive to the Big Smoke(Belfast) to the Christmas Market with friends. We long for a curry from Bengal Spice on a Saturday night with our friends. We long for the closeness of community with people we had done so much life with over the years. We long for the Bush Road and Dungannon. We long for the slower pace of life. We long for the proximity to the rest of Europe making it possible to travel to places like Italy and France. We long for the people who carved themselves into our hearts, never to be forgotten. We long for it all. We don’t know what the future holds and there is no point clinging to the past. The present is our home. So today, I reflect with a humble, thankful heart for the fullness of our life both there and here. The two look vastly different but both show me the goodness of God in the land of the living. I stand with my hands outstretched and open once again to all that God has in store. This entry was posted in america, Infertility, infertilitytofamily, IVF, Marriage, Motherhood, Mothering, Moving, Northern Ireland, parenthood, Parenting, thankful, Transition, Travel, Twins, Uncategorized and tagged america, Autumn, Family, friendship, Home, hope, Infertility, infertilitytofamily, Marriage, Motherhood, Moving, Northern Ireland, Parenting, PNW, thankful, Transition, Travel, Twins, Waiting. Autumn is coming. I know this because I watched leaves fall from the trees as I ran on Sunday afternoon. I know this because I watched my boys experience their first pumpkin patch. I know this because the air is getting cooler, requiring another layer of clothing most days. I love this time of year and being back in the Pacific Northwest for it has been sweet. So many beautiful colours on display with the contrast of mountains and evergreens as the backdrop, it’s stunning! This season of year is also a busy one for our little family. Bryan is in full motion coaching which means long hours and some trips away with the team. The boys and I try to be at as many home games as we can and it’s so much fun! This past Saturday his team had a game and we went(they won which was great!) While we were there I met another young Mother who was there supporting the opposing team. As we stood on the sidelines, watching the game as well as our little boys playing together, we chatted. And I mean like serious chatting. We covered everything from potty training to how we met our husbands to the place of transition we are both currently in to our philosophies on ‘letting go’ as Moms. She was refreshing, genuine and a kindred spirit. She is part of the Band of Mothers I admire so much. A big reason I could stand and connect with her in such a deep way was because the rest of the Band of Mothers and future Mothers stepped in to care for my boys and make sure they stayed safe, entertained and well-fed while I enjoyed making a new friend. The time they gave me with this fellow Mom felt like a gift and that’s what I took it as. I am thankful for this ever expanding Band of Mothers. I have some who are years past where I now stand, others who are a few years ahead, some right smack in the middle with me and others who are just beginning. We have so much to share, gain and learn from each other. It is a privilege to know so many incredible Moms and feel like I can glean from them anytime I need to. Knowing this group of women are with me has helped make this transition so much easier. Do you have a Band of Mothers you turn to? Who is in your Band of Mothers? Go to them, ask them, just chat through life. I promise, you won’t regret it. PS For those Moms who are making it through each day but could use a bit of fun and encouragement that you are not alone, check out tryingtofeedmykids. This is an Instagram page I recently started that is helping me enjoy feeding my kids a little more. Not all of us can be Nigella Lawson or Betty Crocker! This entry was posted in Band of Mothers, BandofMothers, infertilitytofamily, Motherhood, Mothering, Uncategorized and tagged Autumn, BandofMothers, Family, friendship, Infertility, infertilitytofamily, Motherhood, Mothering, Parenting, PNW, Transition, Tryingtofeedmykids, Twins. I have a secret to tell you…come close, I’m gonna whisper it. ‘I’ means me, little old Breanna Jo Chud from Nampa, Idaho. ‘am writing’ translates to currently doing which is true, it’s actually nearly done. ‘my first book’ implies that there is more to come which I hope is equally true. After our first failed round of ICSI fertility treatment Bryan surprised me with an overnight trip to London to see Phantom of the Opera with the London cast for my 30th birthday. This fulfilled a dream I had since university and was a great distraction from the pain of our pursuit to start our family. On that little trip we went to a small, authentic Italian restaurant close to the theatre. We ate thin crust pizza, dared each other to eat green olives which we both hate and continued to dream of our future together. There were a few tears shed but at one point we both agreed that our story needed to be written in a book someday. Well family, friends and those I hope to someday meet, in some ways that day has arrived, just not fully. Let me explain. I have been working since February quite consistently on my first book and it’s called…The Heart Wants What the Heart Wants. I have spent hours reliving this emotional and many times painful journey. I have experienced the same emotions over failed pregnancy tests that I had years ago, etc. (It’s crazy to realise just how much your body stores your memories and emotions!) Needless to say the process has been intense and exhausting, yet very therapeutic and healing. Plus, it wouldn’t be happening at such an intense rate if it wasn’t for my amazing husband, this unique season we find ourselves in and the constant help of my friend Hilary! This first book is about our struggle over 9 years with infertility that eventually led to having a family. The book is a handbook/guidebook of sorts for those experiencing infertility on a personal level as well as for those who know someone going through infertility. In the book I share my personal experiences of treatment, the emotional roller coaster of infertility/fertility treatment and also give what I consider to be some helpful and practical advice on surviving along the way. I also have stories of other people who have struggled as well as the impact infertility has on your relationships. In many ways it’s a journal of sorts that I am giving people permission to go through and read. It feels a lot like the dream where you are walking down the hall with no clothes on and everyone is staring at you naked, yep, that one, the really unnerving one. This book is aimed at a wide audience of people because I know infertility touches so many lives whether it be your life, your wife, daughter or friend, we all know someone who has been affected by infertility. My desire is to allow my own vulnerability and honesty to help someone else along the way. Am I terrified? Yes!!! But I think that’s part of what makes it worthwhile, it scares me! The reason this is hopefully only my first book is that I would like to write a second book chronicling the faith journey I went on in more detail. It will be a very different book with a different audience yet I feel both books are valid and important enough to distinguish between and write. I am planning on publishing the book myself in the coming weeks while also sending it to publishing companies. Once I can get the final edit done and figure out all of the publishing lingo I will be flying! So watch this space!!! I will be putting any book updates here on my blog, on facebook, Instagram and Twitter. This entry was posted in family life, friendship, ICSI, Infertility, IVF, Marriage, Northern Ireland, Parenting, Transition, Twins, Uncategorized and tagged breakthrough, endurance, Family, ICSI, Infertility, Infertilitysucks, infertilitytofamily, Marriage, Northern Ireland, Pain, Transition, twinmomma, Waiting. Have you ever given someone a really tight hug? The kind where your chest is pressed against their chest? The type of hug where something special takes place that you can’t always explain? That’s the kind of hug I have shared recently with the three main men in my life. The first took place early one morning after breakfast. 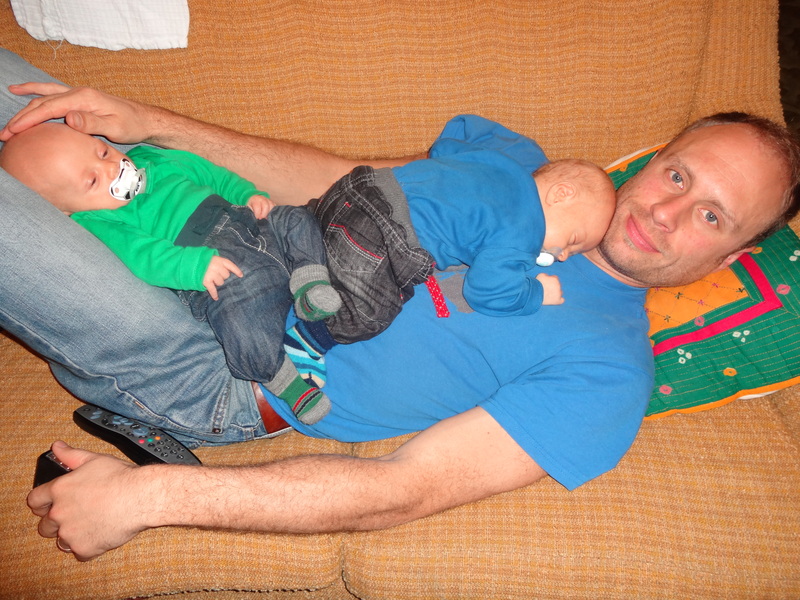 The boys had been up, fed and Cohen was outside crashing around as he often does. Kidran however had wandered back into the kitchen, raised his arms to me to be lifted and then proceeded to snuggle in for the sweetest, cheek to cheek, heart to heart hug. He is getting more cuddly by the day and I love it!!! What Momma wouldn’t? Cohen’s hug came the night we got back from a short trip to Portugal to celebrate our 14 year wedding anniversary. (This only happened because of some incredible friends who took turns rotating in shifts to mind our boys!!! Laura, Lila, Lee and Louise…THANK YOU!!!!!) I was getting ready to put the boys down for bed when Cohen crawled up onto my lap. He threw his arms around my neck and squeezed me so tight with the most precious little boy hug! Cohen loves life passionately and doesn’t do things halfway! Today Bryan and I shared one of these hugs. I am currently working on a project that I will reveal soon here on the blog. Bryan had been reviewing the project for me and afterwards, we ended up in one of those embraces. The kind that says so much without using words. The kind that says I know this body, these arms, this heart. I know this man and his life. I know him and he knows me. We shared heartbeats. Over the years Bryan and my heart have beat for the same things, but one of the strongest heartbeats we have shared was our desire for our family. We both knew that we wanted to have children and be parents but as time went on, we weren’t exactly sure how or when that would happen. A new friend and her husband are in the same process as we were in not all that long ago. The Wheelers are a super sweet couple who have already been through several rounds of transfer and are still waiting for their miracle. They are bravely walking this journey through YouTube and you can follow them if you are interested. If you think of them, say a prayer! I am hoping and praying for their miracle! Standing at the kitchen sink washing dishes the other day I found myself sending my thoughts and prayers their direction. 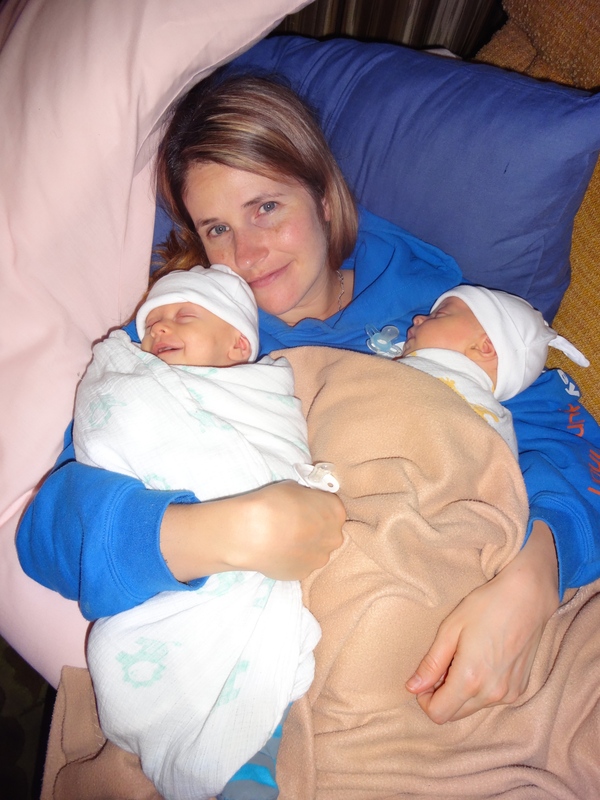 Hugging my two sons is a constant reminder that I am living my miracle. Actually two of them! Bryan and I always knew we would continue to share heartbeats, we knew we would make it regardless of the outcome of our infertility treatment. Yet our hearts sharing beats with our two sons, that is beyond what I could have imagined!!! I wish you some shared heartbeats today!!! This entry was posted in family life, heartbeats, Infertility, Northern Ireland, Parenting, Uncategorized and tagged Family, Infertility, IVF, Northern Ireland, Portugal, The Wheelers, Waiting. Nearly 12 years ago Bryan and I boarded a plane to Northern Ireland not knowing what the future would hold. I remember so clearly getting ready to land and feeling a wave of panic crash over me. What on earth were we doing? Why were we moving? Why had we sold almost everything we owned and quit good paying jobs? Were we insane? The decision to move seemed risky and a bit silly in that moment but we were confident that we would see purpose in our move as time unfolded. At that point we had no idea what road lay ahead of us, especially the journey we would embark on to begin our family. Over those 12 years we saw amazing things happen in our town and church. We grew individually, as a couple and eventually as a family. We traveled a ton and we dug deep into relationships with people here. Many of those people became our Northern Irish family. The Archers for instance. I can’t recall how many Christmases we spent with their family because they adopted us that very first year and began a new tradition for us. Our lives were full and busy. Bryan’s job as a youth pastor became so fulfilling and we walked alongside so many young people at very poignant times in their lives. I remember quite a few teens asking us ‘Do you think God kept you from having kids for so long so that you could help the teens in Dungannon?’ We don’t know the answer to that but we have loved our life here. Not every day was blissful or easy but the total of pretty outstanding days far outweighs the hard days. Northern Ireland became part of our tapestry, woven into us in so many unexpected ways and we will never truly be gone or leave this place, no matter the physical miles. In a few short months we will board a plane again, a plane carrying us back to America because opportunity has presented itself. Bryan has been hired as the Head Women’s Soccer Coach at our old college Northwest University. It is an incredible position and we feel so honoured to have Bryan take the post. Come mid July we will be flying back ‘home’. The problem is that Northern Ireland has become home for us and our boys. After such a long period of time here we feel Northern Irish in many ways. How we view life, culture and family is through a Northern Irish lens. There are so many things that we love about living here. The list of pros is much longer than the cons. Yet by moving back to the states we will have the privilege of living much closer to family which is a huge blessing. Still, as much as we know this is the right move at the right time, our hearts are still aching at the thought of the goodbyes to come. Last week we had a memorable week with Bryan’s youngest brother Nathan, his wife Marisa and their 21 month old son Lincoln. 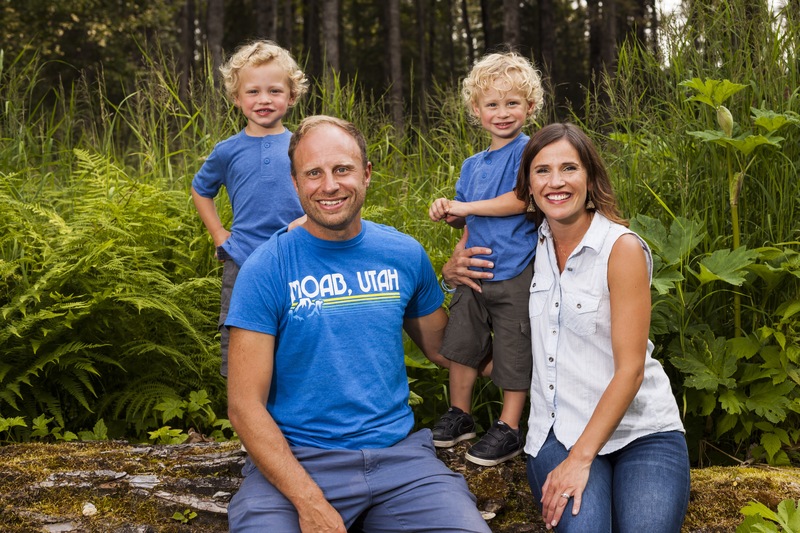 The time was spent letting our boys play together, trips to Dublin, Belfast, the North Coast and the Argory, sharing about life and getting properly caught up as Nathan and Marisa recently uprooted themselves from the last frontier of Alaska and moved to Lebanon. The day before they were due to leave our electric wok came up. Long story short, the plugs in Lebanon are the same as in the UK so I sent our electric wok with them, back to their new home. I know it’s just a wok, but it is also something more. That wok was a gift to me from my very dear friends Paul and Hilary. 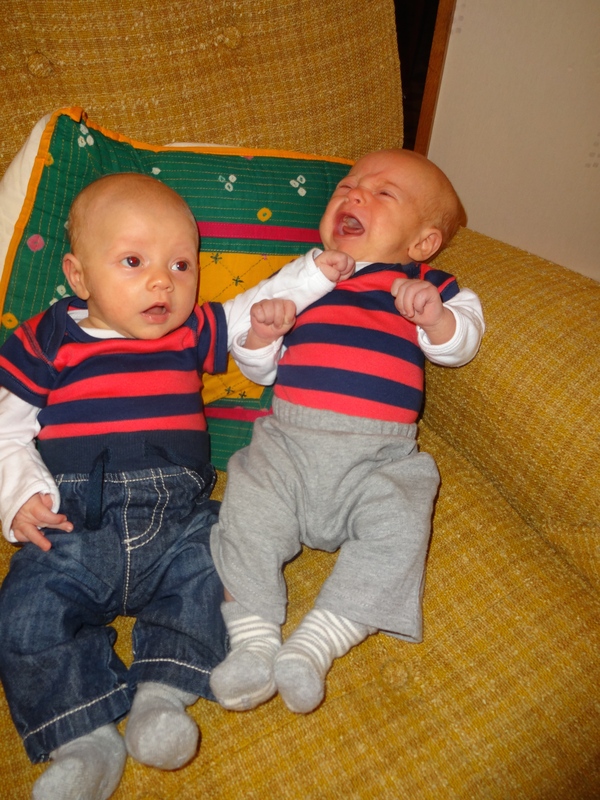 I had the joy of nannying their twins for nearly two years. When I used it and I did often, I thought of them. I would make family style meals in it. One of my favourites became a yummy risotto recipe from Bread and Wine by Shauna Niequist. Another good friend, Julie, introduced me to Shauna’s writing by giving me my first Shauna Niequist book called Bittersweet. This came at a time when I was going through the throws of infertility. I was also running a small coffee shop called The Press Coffee Shop. The name came from a trip I made to Belfast with my friend Carol. We talked about the coffee shop and it’s aims. I wanted it to be a place where those who were feeling pressed by life could come and be cared for. Infertility had been pressing me for many years and the name seemed fitting. These types of examples and stories of friendship could go on and on. Everything about everything feels connected to this place and the last 12 years and I don’t know how yet to connect our life here to our life there. Believe it or not, I feel my heart had been gently and kindly prepared for this decision from the moment we arrived back home in January. As we settled back into life we went through a major declutter. I got rid of so much stuff as did Bryan. I hung pictures on the walls that I had meant to hang for the past two years. As I was hanging the pictures one day I felt in my spirit that I should ‘Hold it loosely’. When I heard it my subconscious knew that change was ahead but I also set it on a shelf in a room away from my everyday life and closed the door. I know that this is the right move for us. I know that with my head but my heart has not caught up yet. I kinda want to know when it will catch up. Time is usually the thing that helps connect the two and I have a feeling it will work in this case. Yet these are just a few of the things that are causing me to shed tears and weep a little nearly everyday so far. Our boys won’t have the Northern Irish twang that we have grown to love. We won’t be able to drive through the green, rolling hills to the North Coast. We will miss our neighbours, the McCammon’s, who we have done so much life with like our Sunday lunches, holidays and our frequent evening gatherings. We will leave behind our boys first bedroom, the room I cradled them in so many nights. We will leave behind our church family that has taught us how to live in community. The list could go on and on but I will stop there as my eyes are filling with tears as I type this. Please heart, catch up with my head soon. I want to love these last few months here in our home and I don’t want to cry everyday. Speak to me God, of the promises of a good future, good plans and good purposes for pulling up our roots and planting them somewhere else. I choose to trust You. Thank you for the gift of the last 12 years. 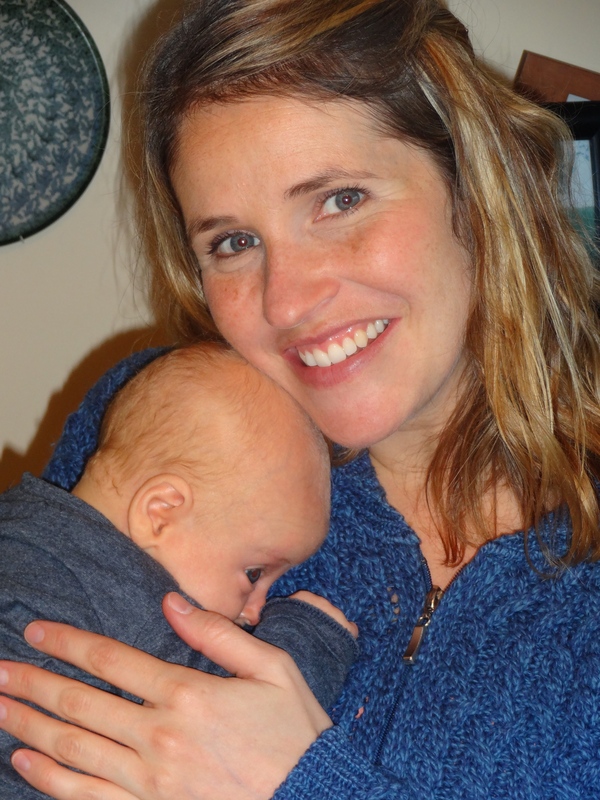 This entry was posted in Transition, Uncategorized and tagged Family, Home, Infertility, Moving, Northern Ireland, Shauna Niequist, Transition, Travel. We are past the two month mark and we are settling into being a little family. The boys are growing so fast and getting stronger everyday. 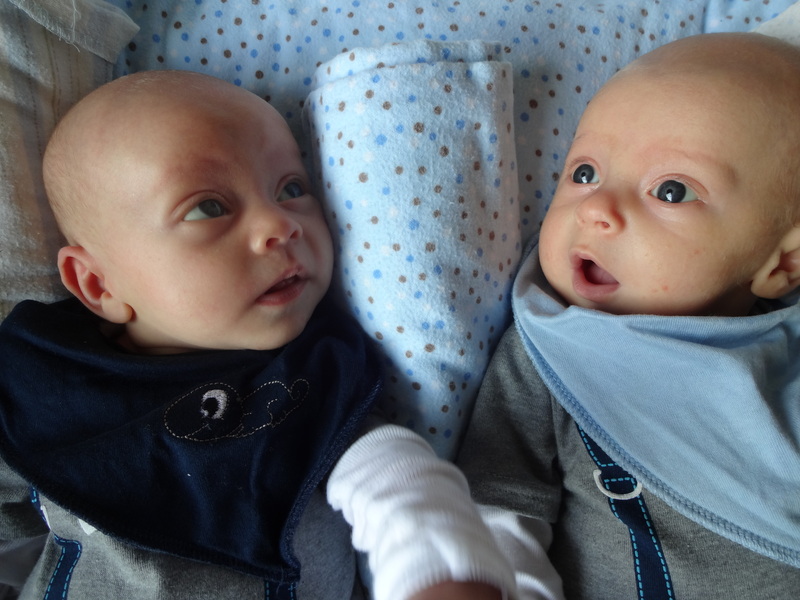 We love watching them hold their heads up now to look around as they are taking in more and more of their surroundings. I am a little sad that they are getting so big but also enjoying this new stage. They have started to smile and that makes you feel amazing! Seeing their faces light up when you talk to them is probably one of the best feelings I have ever felt. Sleep deprivation has been lessened thanks to my incredible husband and his amazing Mom. Everyone is so concerned for my well-being making sure I am eating properly and getting enough sleep that sometimes I feel like I am more rested than everyone else! I will enjoy it while it lasts thank you very much! People keep asking what has been the best thing about having Kidran and Cohen here and that is so hard to answer because it’s not just one thing. Each of them has their own personality, likes and dislikes. They have their individual cries and preferred holding positions. They feed differently, sleep differently and are so unique in every way and that is a beautiful thing. The best thing is that they are real, here and are ours, no one else’s. People also keep asking what’s been the biggest adjustment? In all honesty it hasn’t been that different than what we imagined. It is hard, really hard at times but so incredible that it just seems worth it. Period. I would say I do miss time with Bryan but that will come back too and we are already planning date nights to make the most out of having a constant babysitter right now with great credentials! More than anything we are finding our way, getting to know our wee men and soaking up every second of this stage. These times are precious, times that become fixed in your memory and that you will replay constantly as they grow up, and eventually leave home (no, I am not ready to think about that in any way!!) These feel like the moments that we will share with them as they get bigger. Cohen, we remember when you used to sit straight up as we tried to burp you and look around taking in everything. Kidran, we remember when you used to grunt and groan all the way through a feed with your raspy voice. I could continue listing these little memories but I would bore you all. Abba, I don’t spend a lot of time talking to You these days. I do spend a lot of time thanking You under my breath. Thank you for Kidran and every detail of his perfect face. Thank you for Cohen’s pensive eyes and sweet smiles. Thank you for entrusting us with these two treasured gifts. We pray you help us be the best parents for them, seeking You in every stage of their lives so that we can direct them to You. We pray you protect them, speak to them from an early age and that you give them courage to be the men of God you have designed them to be. Thank you again Father, Amen. This entry was posted in family life, ICSI, Infertility, Marriage, Northern Ireland, Parenting, Transition, Twins and tagged breakthrough, endurance, Family, ICSI, Infertility, Infertilitysucks, infertilitytofamily, Marriage, Northern Ireland, pregnant, truelove, twinboys, twinlife, twinmomma, Twins.